Are you ready for the Gotham Season 2: Rise Of The Villains? 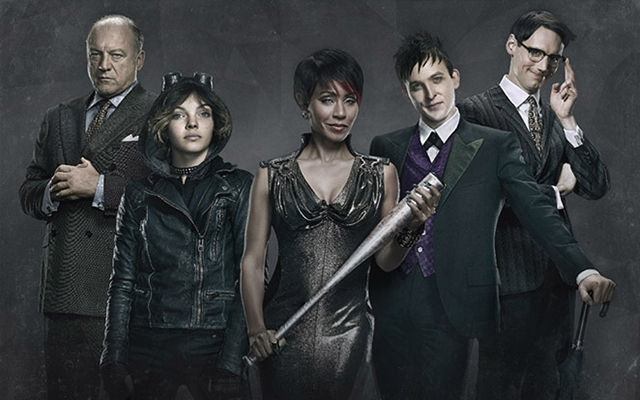 The new season of Gotham premiers on FOX on September 21, 2015 at 8pm ET/PT. Each new season of Gotham will come out on Netflix immediately after the show is done airing on television. So if you need to get caught up on Gotham check out Netflix and get your binge watching on before season 2 premiers next week. As for the latest news on one of our favorite villains, Gotham introduces a new bisexual love triangle for Barbara. As you may have heard Renee Montoya, the out detective and love interest of Barbara Gordon, is not coming back for season two. This doesn’t mean she is out for good. Season two is based more on giving screen time to the villains this year, but you never know she could be back for season three. It will be really interesting to see how her character evolves over the next season. By episode two we will see how she will be involved with a romantic love triangle with two other villains – one is with a man, and the other is with a woman and will play out through to episode ten. I know I will be watching. Will you? This entry was posted in Fun Stuff and tagged Barbara, Barbara Gordon, Bisexual, gotham, Joker, love triangle, netflix by Janey Grace. Bookmark the permalink.